Angela Fournier is back and better than ever. She and her friends are starting the eleventh grade. On the first day, they meet two new girls, Sonja and Michaela. The group of friends immediately adopts these new girls, delighting in their company. The year starts out well, despite the annoying, snotty KittyKats, a group of girls who tend to bully and intimidate others. 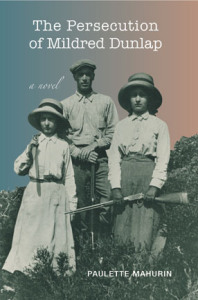 At least, it’s going well until Angela and her friends find out that a development group wants to put in an oil pipeline and build a refinery in a wildlife refuge on the beach. Feeling this would be a terrible mistake, Angela and friends band together to keep the refinery away from their beach and bay. Although this book is intended for young adults, it’s wonderful for older readers. I greatly enjoyed it. The character of Angela is beautifully developed. She is intelligent and caring, though still prone to doubt when the KittyKats sow their discord. Angela is well spoken and strongly believes in the preservation of the bay. She and her friends take their conviction public, gently protesting the refinery. To say that they meed adversity would be an understatement. One thing I enjoyed about this book, there isn’t a single villain at work, there are several. It’s full of manipulations, machinations of big business and bullying on different levels. Angela stands up to it all, supported by her friends and family. Support comes from a very unexpected source as well—her Spanish teacher. Mrs. Sepúlvida is a wonderful character and I hope she will return, in a bigger way, in the next book. I also liked the TV reporter who interviews Angela—and the cameraman. Can’t forget him. Angela and he friends stand up for what they believe, face adversity, band together and don’t stoop to the dirty tactics of their opposition. They show young people (and older ones) that conviction and commitment to a cause are important. It also shows that, despite everything, nice guys don’t always finish last. 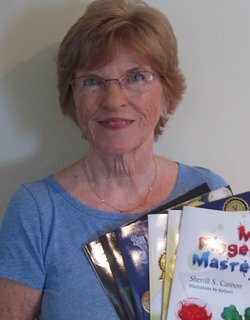 Sherrill S. Cannon has a true gift for children’s books. They engage young readers while entertaining adults. They teach without preaching and create a fun learning environment for small children. My four year old granddaughter loves them, which is high praise. This charmingly illustrated book merges the birth of Jesus with the legend of Santa, showing children how the greatest joy of the season is loving one another. Peter can’t stop whining and screaming. He always wants his way. That is, until a Whimper-Whiney man takes him to Whimper-Whineland. Will Peter learn his lesson and changes his ways? This book is a wonderful way to teach children how unattractive and unacceptable whining is. Elizabeth Keys is the rudest little girl in her class. She never says please and thank you. Her manners are terrible. She learns the error of her ways when no one wants to come to her birthday party. Can Elizabeth change her ways? Or will she have her party all alone. Elizabeth learns that manners are important. Save the Lemmings is N.I.C.E. 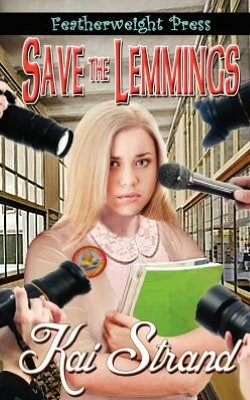 Save the Lemmings by Kai Strand is a wonderful young readers book about a teenage inventor, Natalie. She’s not exactly a social misfit, but Natalie lives in her own well pressed, pastel and pleated world. She’s very bright and loves to tinker around and invent things. She’s been working on a special item, the Texty-Talky. The device is an overnight sensation. Suddenly, Natalie finds her life spinning out of control. Everyone wants interviews, commercials and a piece of the multi-million pie. All Natalie wants is to get on with her life and spend time with her friends. Unfortunately, a nasty practical joke turns Natalie into a media sensation. The press have a heyday, and everyone shuns her. It’s at that time that Natalie decides to take control of her life once more and faces adversity head on. Natalie Isabelle Cailean Edwards (N.I.C.E.) is a sweet, caring person. She’s also naïve and doesn’t see the bad things in someone’s character. That gets her into trouble when she trusts the wrong person. We’ve all known someone like Natalie, generous, friendly, flighty and trusting. She’s so perfect, it’s a little disgusting, and she has no idea that she’s completely clueless. However, there is a strength in Natalie that no one realized was there, including Natalie herself. She faces the problems that invade her life and confronts them with great ingenuity. 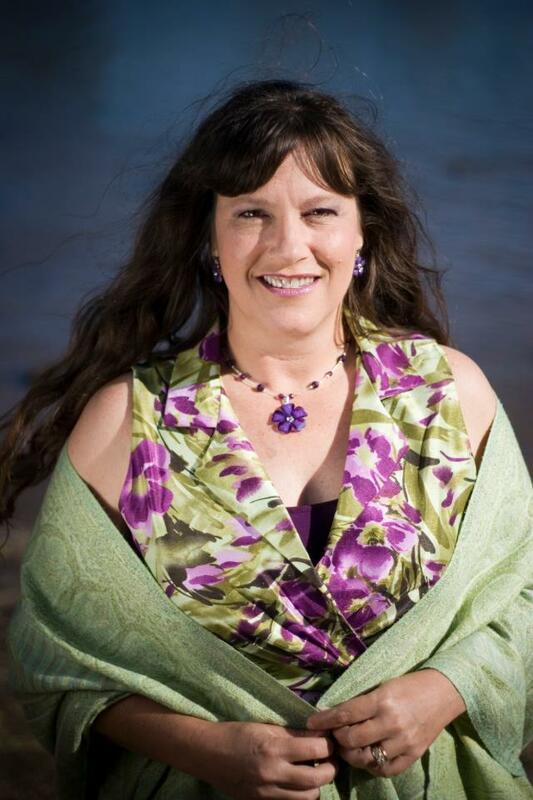 She perseveres and takes her life back. I loved this book. It is more than a story about one girl’s success and adversity. It is a true social commentary without being a social commentary. Everything that Natalie goes through is completely believable. Similar things happen all the time. A person makes one judgement error and instead of being America’s Darling, she becomes a social pariah. Even the people she most loves and trusts lose faith in her, but she gets it back. This is a great book for young teens through adults. Natalie’s struggles can give someone hope and courage that they can overcome their weaknesses with a little faith and quick thinking.